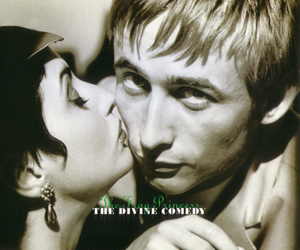 From that time on, The Divine Comedy released their singles under several formats. Most probably to better rank on the charts. Indeed, The Divine Comedy reached the 14th place with Something For The Weekend, but only the 27th with Becoming More Like Alfie. It’s maybe thanks to the 2 volumes (Casanova Companion 3 et 4) that The Frog Princess put The Divine Comedy back up. The single was released just before a tour which included the famous Shepherd’s Bush night, during the rehearsal of which A Short Album About Love was recorded with a full orchestra. The first B-side is ‘Motorway to Damascus’ which, despite being the only new song of the lot, seems to be a home recording of Neil Hannon. 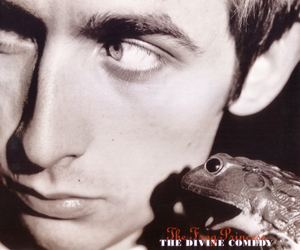 Probably because The Divine Comedy’s success had been unexpected, proper B-sides weren’t recorded. The other tracks are demos (interesting early versions of ‘Lucy’ and ‘Something (Be)For(e) The Weekend’) or band/live versions. ‘A Woman Of The World’ and ‘Tonight We Fly’ were both recorded in August 1996 during a session at September Sounds (probably the same where was recorded ‘Through A Long And Sleepless Night’ on Volume 17). On the other hand, ‘Neptune’s Daughter’ was recorded live at Newcastle.